“Fear & Courage” will be the new sermon series for 2018. 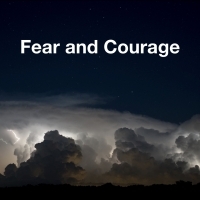 The Lord is calling us out of fear and into living His mission with courage. Photo used by permission by Ivy Schexnayder.